Dial-a-Ride reservations just got easier! 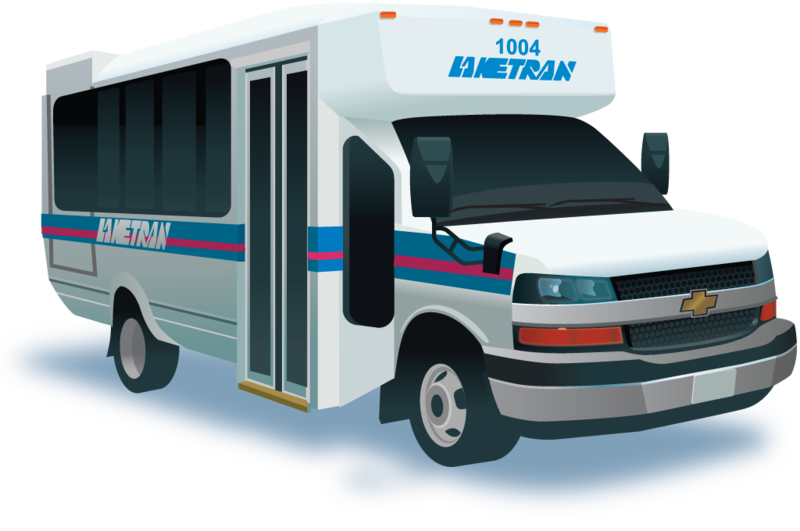 Book, cancel or confirm your trip online with Laketran’s new Request-a-Ride program. Laketran will detour W. 3rd St. construction through October 2019. Locate your bus traveling along its route in real-time or tap on any of Laketran’s 715 bus stop locations for the next bus departure. In partnership with Lakeland Community College, Campus Loop serves 10 bus stops connecting all points of campus. Local Routes travel the major corridors of Lake County. Local Routes operate Monday – Friday 6 a.m. to 8 p.m.
Saturdays from 8 a.m. to 7 p.m.
Park-n-Ride offers 18 daily departures to Cleveland from nine Park-n-Ride locations. Routes 10-13 depart to Cleveland as early as 5:30 a.m. and return as late as 6 p.m.
Dial-a-Ride is a door-to-door, assisted transportation service that takes you anywhere in Lake County and to select medical facilities in Cuyahoga County. To schedule a trip, call 440-354-6100 or use Request-a-Ride to book online.